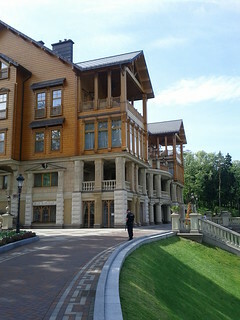 Also while I was in Ukraine, I took some time to go visit Mezhyhirya. 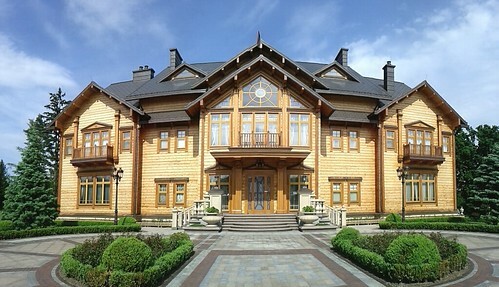 It was the former home of the former President of the Ukraine Viktor Yanukovych. I didn’t get to go in the house (but could have had I been willing to pay about $20). But this place was posh. Post to the poshest. I’m serious…this place is the modern equivalent of Stourhead. Here’s some pictures, but you can find the rest in the flickr set. [Update 2014-05-24 18:50:34] Here’s a der spiegel article that has 360 degree views inside some of the buildings. 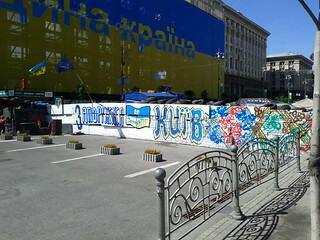 I just got back from a trip to Ukraine. 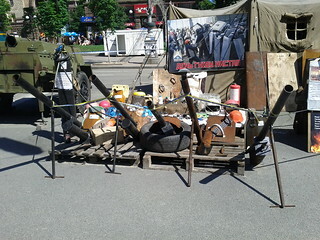 One of the places I went while I was there was Maidan Nezalezhnosti. 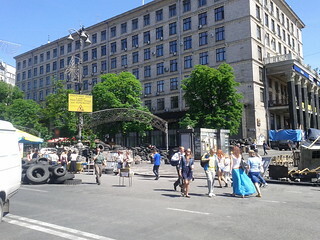 For those who may not know, around the end of 2013 and the beginning of 2014, this was the scene of protests against the government then in power. 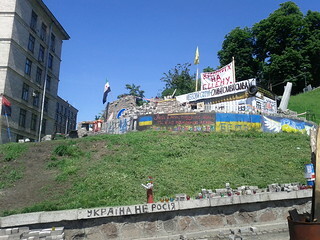 I went in May and, while most of it has been turned into a memorial, there are still protesters there. A few pictures are below…the rest can be found in the flickr set.